I believe in balanced eating and part of that is incorporating fresh fruits and veggies into our meals to make sure my family is getting the nutrition that they need. It also ingrains healthy habits into the kids that I hope they will pass on to their kids, too. 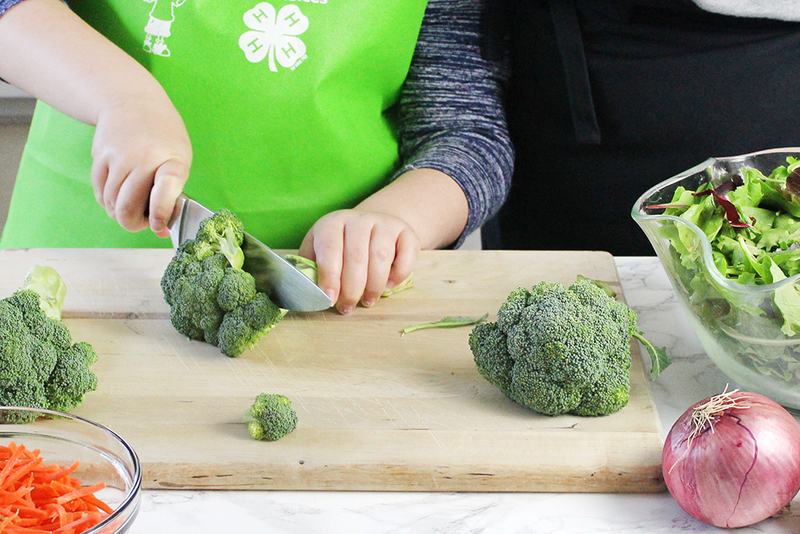 Because this has always been a big deal to me, I was proud to partner with the 4-H Food Smart Families program that is helping to empower kids and their families to make healthy choices. With that in mind, I've come up with 10 ways to mix healthier ingredients into your holiday meals this season! 4-H is a wonderful organization that is all about family, growing healthy kids, and encouraging service. Another way they're doing that is through the Food Smart Families program. Did you know that nearly 16 million children live in households that don’t have consistent access to food throughout the year? 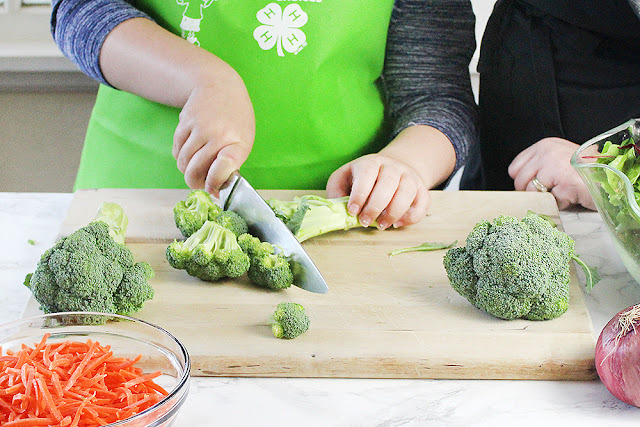 4-H Food Smart Families is working to create more food secure homes by teaching families how to plan, shop and prepare healthy meals on a budget. With the high expense of food and so many of us on tight budgets, I believe that it's a skill that is vital for today's families. Since 2011, UnitedHealthcare and 4-H have partnered together to deliver healthy living programs in 14 states and they plan to eventually expand it across the entire national 4-H Extension network. That means that families throughout the country will have easy access to nutrition education, cooking, and food budgeting skills programs to help them to bring more affordable, nutritious foods into their households. Not only that, but they'll also have help to access nutrition assistance resources in their community. 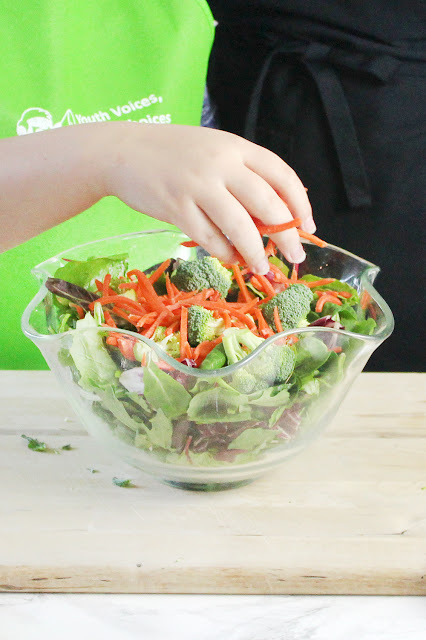 Check out the 4-H Food Smart Families website here. 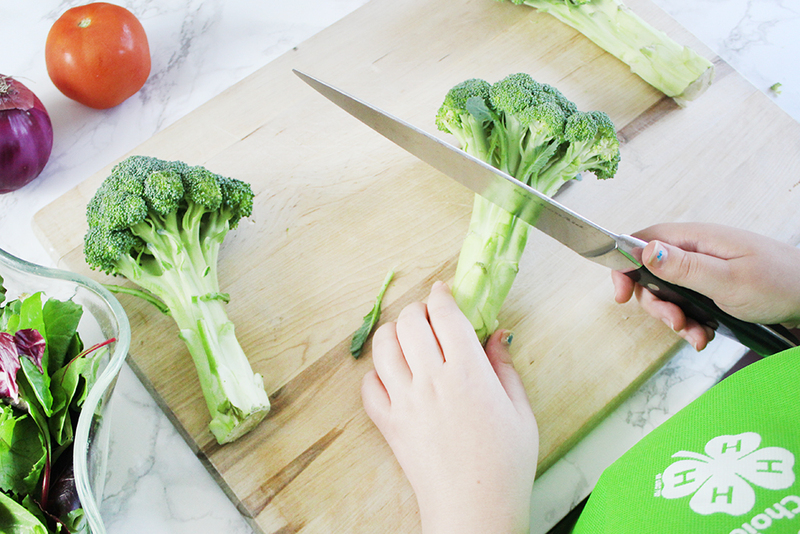 Then check out these 10 Ways to Mix Healthier Ingredients into Your Holiday Meals. It's easy to incorporate healthier ingredients into your holiday meals! A ham, turkey, or roast is traditional, but your sides are what you make of them. 1. If you usually serve appetizers to your guests, substitute your usual bites with veggies. You can serve a big tray of julienned carrots, bell peppers, cucumbers, and celery, and make a variety of unusual dips for your guests to try. You can also put out dishes like blue cheese-stuffed celery, hummus-topped cucumber rounds, mini tomato bruschetta, Caprese salad bites on toothpicks, olive salad-stuffed cherry tomatoes, stuffed mushrooms, add diced bell pepper to your ham pinwheels, or put out cucumber rounds with a cheese ball. 2. Adding healthy sides like a roasted vegetable mix (carrots, potatoes -- both regular and sweet, brussels sprouts, corn, onions, and winter squash) are super-easy since they can be roasted along with your chosen meat. 3. If you have lots of family favorite sides, sub out one side with a roasted vegetable dish. It doesn't have to be a mix, you can pick one that you think your family will love, like herbed baby carrots or fresh green beans. 4. Butter is a big factor in holiday cooking. If you normally use butter while cooking, try using ghee. It's made from butter, so it will still have the flavor of butter, but without the butterfat and milk solids. It is still fattening, so should be used sparingly, but slightly less so than full-fat butter. 5. You can also serve a spiced, roasted fruit bake. Apples, cranberries, pecans, and blackberries would make an amazing combination. 6. If you incorporate rice into a dish, choose a wild rice instead of white. It will be healthier and your finished dish will be much prettier! 7. If you make a chocolate dish, try using dark chocolate instead of milk. It has lots of benefits that can help improve health and lower the risk of heart disease. 8. If you usually serve a giant bowl of mashed potatoes, you can try subbing roasted cauliflower instead of potatoes in your mashed potatoes. Just roast until soft and add them to a blender or food processor with your milk, butter, sour cream, herbs, and salt & pepper. 9. If you need a sweet dish on the table, try serving a bowl of mashed sweet potatoes without the marshmallows! You can make them with brown sugar, cinnamon, and nutmeg, or go the nontraditional route and sprinkle with some salt and parsley for a delicious sweet and savory dish. 10. 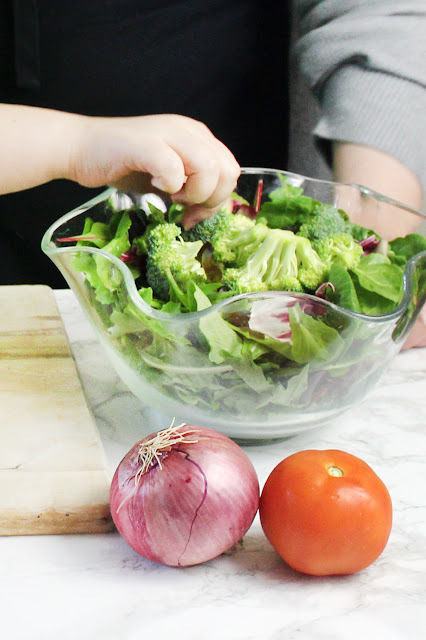 Sub out any side with a big, tossed salad. 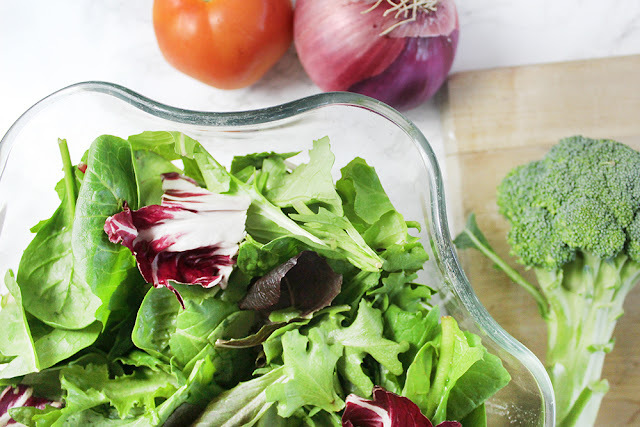 You can toss the whole thing with a healthier homemade dressing made from 1/4 cup red wine vinegar, 2 tablespoons of water, 1/2 cup olive oil, sea salt, and pepper. You can shake in a multitude of herbs and minced garlic for a delicious and flavorful dressing. I hope these tips help you plan an amazing holiday dinner! What are your favorite healthy holiday dishes? 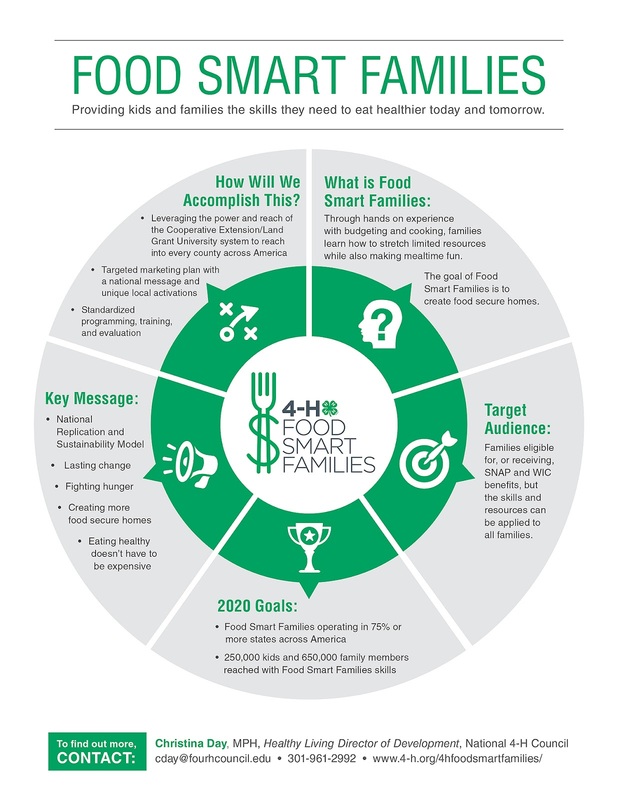 Have you heard of the 4-H Food Smart Families program? I love to read your comments!